What have you done to your AR(s) today? 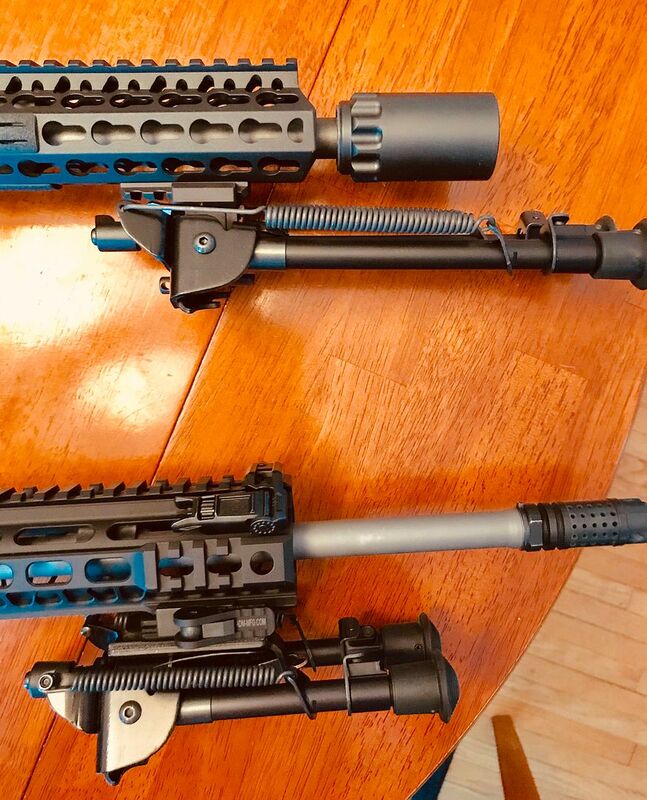 Thread: What have you done to your AR(s) today? I drilled out the tiny aperture in a Matech sight I am going to use on a M4 clone. I also removed the sight post from the FSB, cleaned and oiled it because I was having trouble adjusting it at the range. Going pewpew pewpew pewpew pewpew pewpew in about 5 minutes. Installed a Fostech AR II Echo trigger in my .300 Blackout SBR. Haven't gone to the range with it yet, but it function checks well. I managed to do that this afternoon. Zeroed the Matech buis on a new-to-me 14.5 LMT upper at 50 yards and truly enjoyed shooting my BRT Light 16 based gun with a 1-4x optic. Last edited by AndyLate; 02-10-19 at 16:54. Switched out the Arisaka 300 light from one of my rigs to a Surefire M300. Ran the Arisaka for about a year...love its size and weight...just not bright enough for me. Bought a new Colt 6920. Switched/upgraded optics again, now need to zero. Moved around a bunch of Magpul and Centurion handguard covers. Cut and tied some paracord trying to find the lowest profile/efficient knot, etc, since Centurion handguards are so low profile that QD swivels will/could be impacted during barrel flex on the CCU. Ordered. BFG Uloop instead.